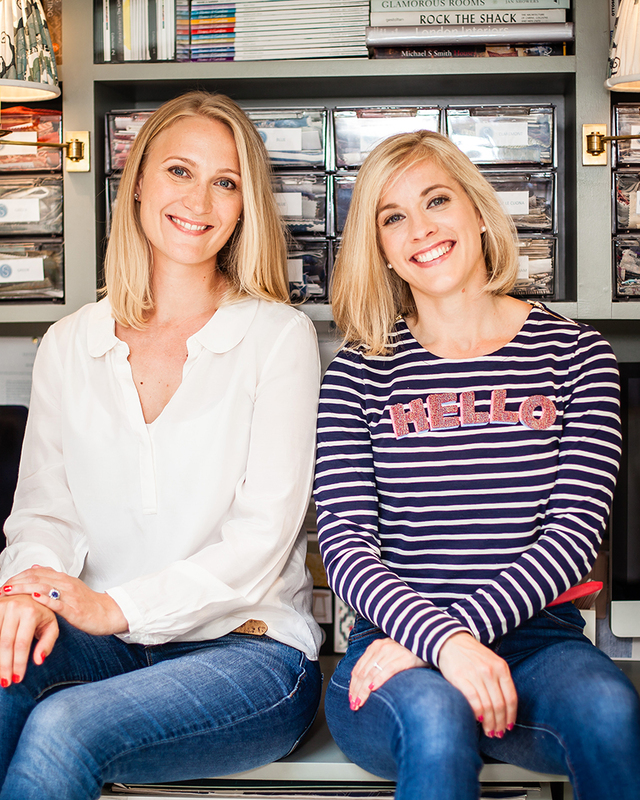 This time in our series of ‘behind the scenes’ posts, we’re excited to be talking to the design duo behind Salvesen Graham, Nicole Salvesen and Mary Graham. 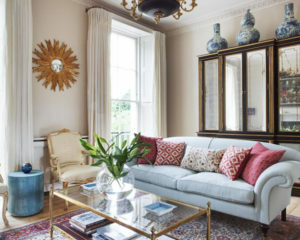 With a combined 20 years’ experience, specialising in classic interiors with a modern twist, who better to quiz about their design inspiration, style and favourite places to shop? How long have you been working together as interior designers? We joined forces in 2013 to form Salvesen Graham. Prior to that, Nicole worked at Nina Campbell for several years and before that at several other top London design practices. Mary worked at Leveson Design where she worked on a number of prominent English estates and large London houses. What do you like best about being an interior designer? Because we love colour, texture and pattern we are able to be really creative. We also love to think around problems to find a solution that works for all our clients. We are currently working on a wonderful family home in the countryside that is enabling us to flex our muscles in terms of traditional design. Additionally, the client loves to incorporate contemporary pieces, so the project is a true reflection of our style. From all over! Instagram has been an incredible tool for our industry – creating collaboration from inspiration. We bring a fresh interpretation to traditional and classical design, underpinned by the use of colour, texture and pattern. 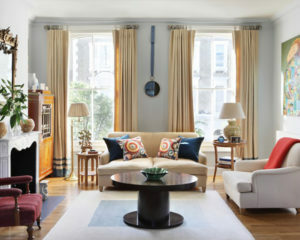 The result is welcoming and richly layered rooms. 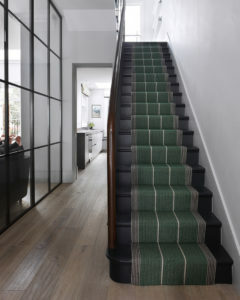 What is it about Roger Oates flooring that you like? 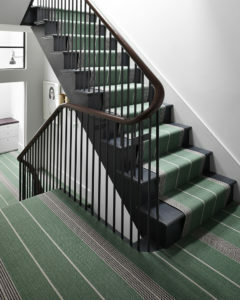 We love working with the more colourful flooring in the Roger Oates range and often use bespoke colours. “Don’t be afraid to go bold on the floor” – Custom colour Swanson on the stairs and landing of this family home. Have you used Roger Oates in many projects? Throughout our work in the industry we have used Roger Oates often, as the breadth of the range has tended to offer something to suit all our clients’ needs. Depending on the project we use use designs from the main collection, or use the custom design service . We recently photographed a house with a fantastic bespoke Swanson design in a juniper colour. Don’t be afraid to go bold on the floor, as long as you are going bold elsewhere in the room to balance it. Bravery can really lift a scheme. Do you have particular fabric and furniture designers that you regularly use? We work with such a variety of designers depending on what our projects require. We love Soane for furniture and Balineum for bathrooms and their tile range. What are the latest interior trends? Materials? Colours? 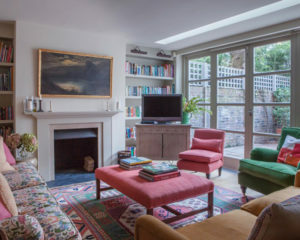 We are loving the move towards pinks and have been working with them in our interiors for a while now. We also love the use of chintz and as well as specialist paint finishes, it is what we were brought up with in our design life. We are both so glad to seem them making a resurgence! What is your favourite colour palette? We work a lot with pink and green but we love the spectrum of teal colours. They will always be found somewhere in our designs. What are your favourite pastimes/leisure activities? Museums? Theatre? We love the world of design so we spend a lot of time visiting historical houses around the country and wiling away hours at the V&A. Food is also a huge part of our lives, and so weekends are often spent indulging in a passion for cooking. A relaxing weekend by the fire in the country, with hopefully no phone reception!